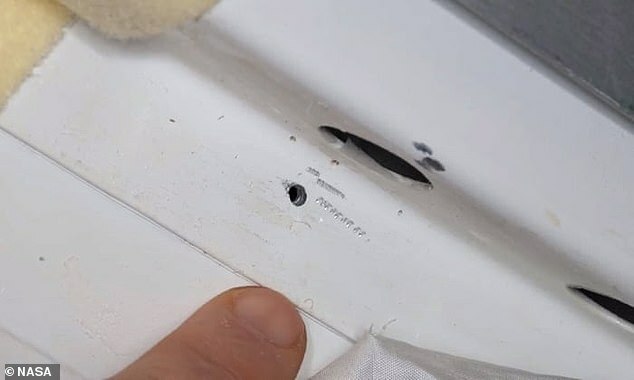 It's been more than four months since crew first discovered the hole in the Russian Soyuz spacecraft, but just how it got there still remains a mystery. Alexander Gerst confirmed the leak was made deliberately and had the potential for 'severe' repercussions in an interview with the BBC Radio 4 Today programme. 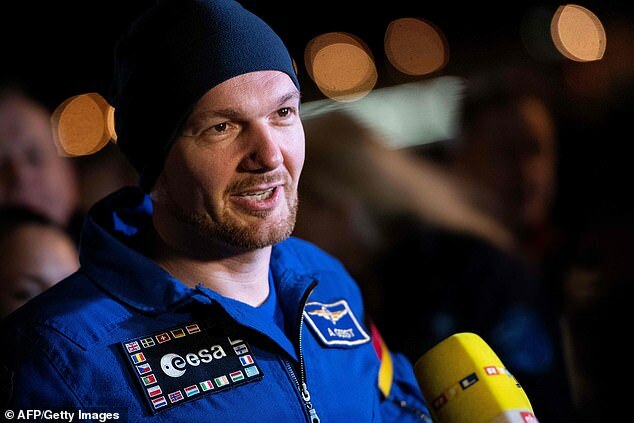 Gerst, the German-born commander of the mission, refuted allegations that the hole was caused by US astronauts. He instead says that it was likely caused by a faulty repair job which was inadequately performed by mechanics on the ground. Gerst spoke about the risks the crew faced and said: 'As an astronaut you think "Well, what would have happened if it broke loose a little bit earlier, when we were travelling to the space station, when you only have a very small volume of air in that spacecraft? ",' he said. Sergey Prokopyev and two other astronauts returned to work in December following a 197-day space station mission. The hole in the Russian Soyuz spacecraft attached to the station was spotted on August 30. Just days prior to their return to Earth, the cosmonauts endured a gruelling spacewalk that lasted almost eight hours to investigate the hole, using knives and shears to carve into the side of the ISS. The crew discovered a leak that was creating a slight loss of pressure and plugged the hole with epoxy and gauze. Nasa claimed the astronauts on-board were never in danger but images and further investigation revealed it was made from the inside. WHAT COULD HAVE CAUSED A HOLE IN THE ISS?